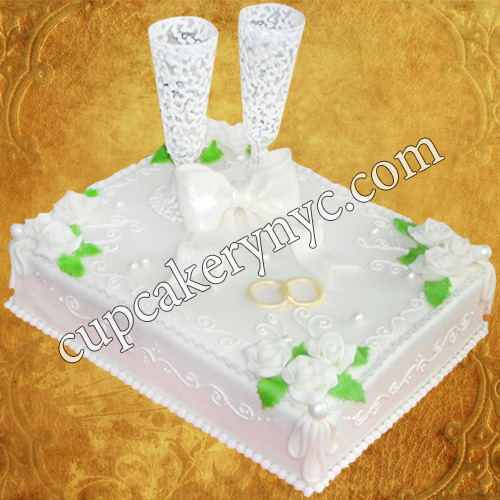 The tradition to have a white wedding cake is very old. 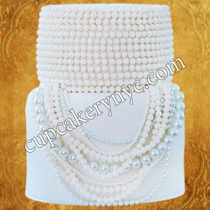 The person who set this trend was Queen Victoria. She had a white gown and the cake matched it. This trend is still in full swing. 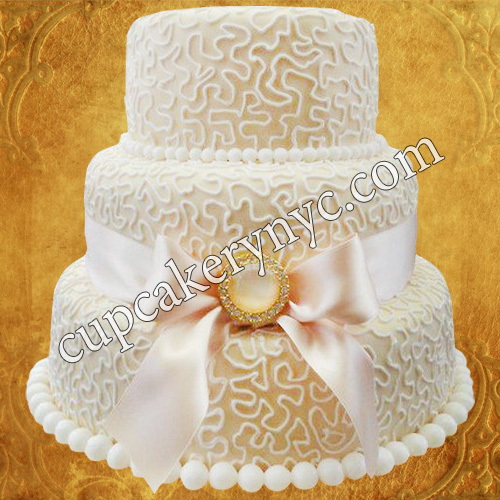 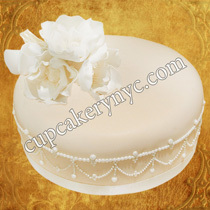 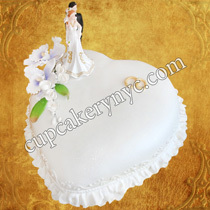 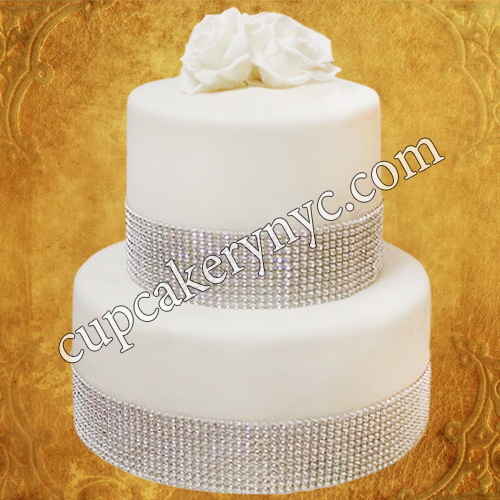 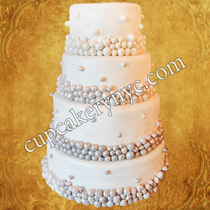 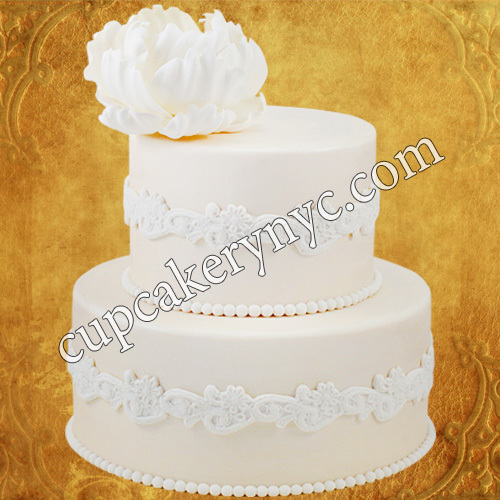 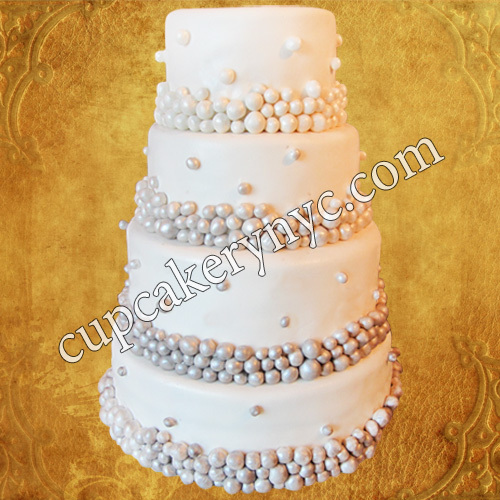 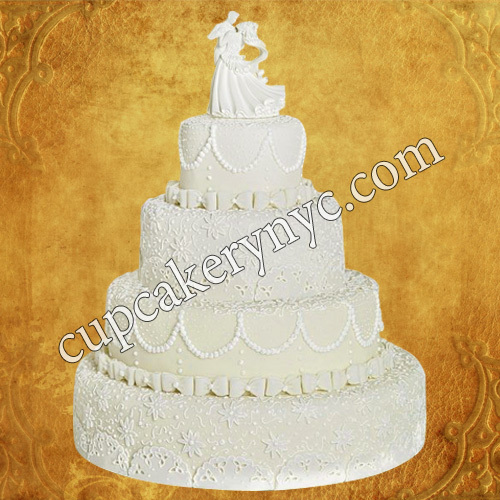 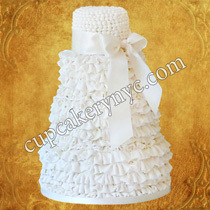 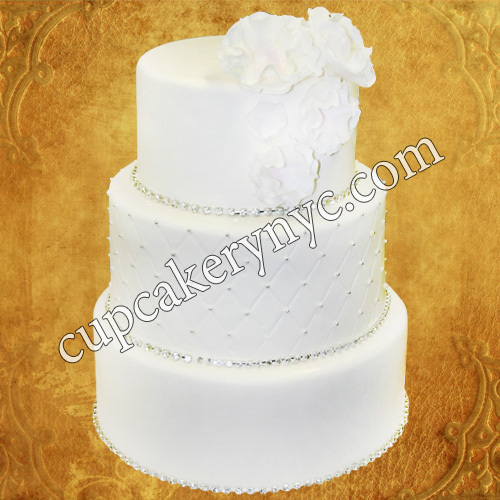 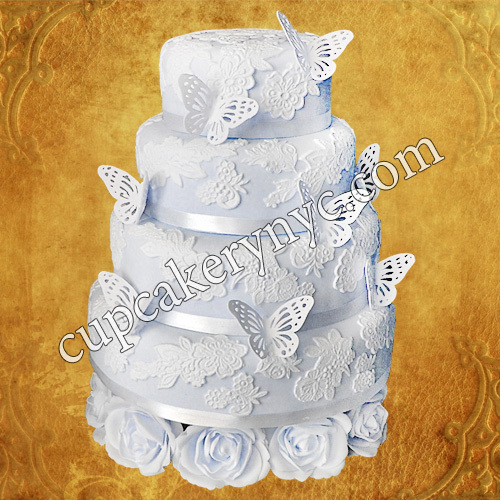 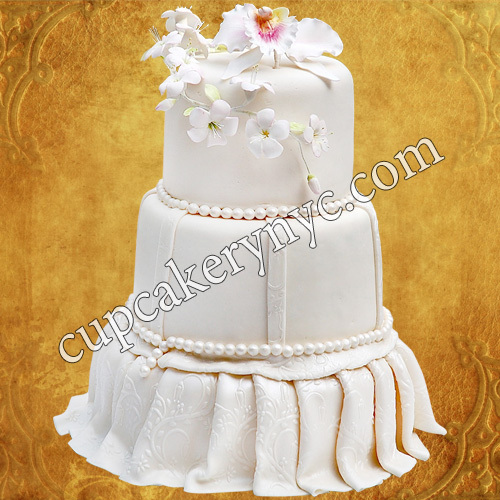 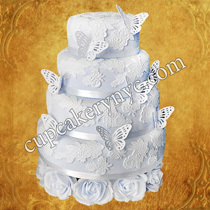 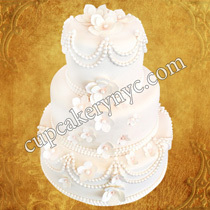 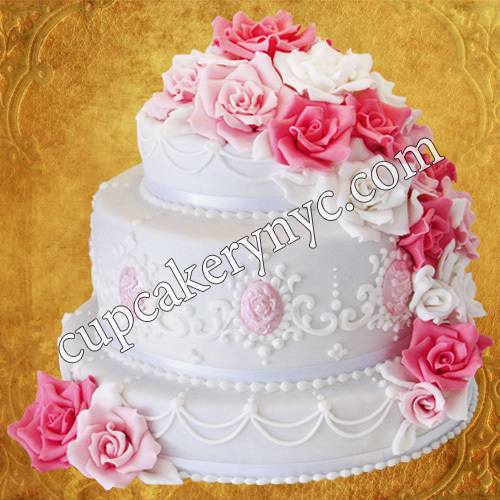 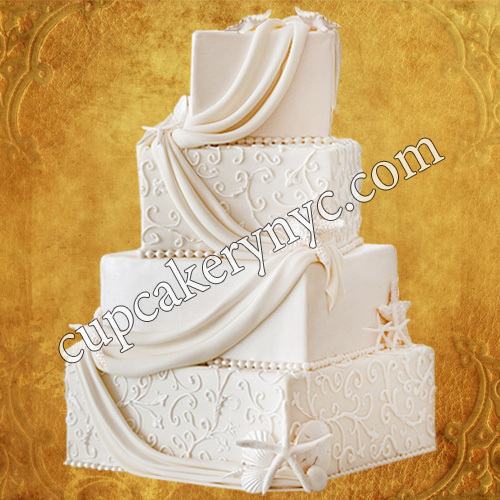 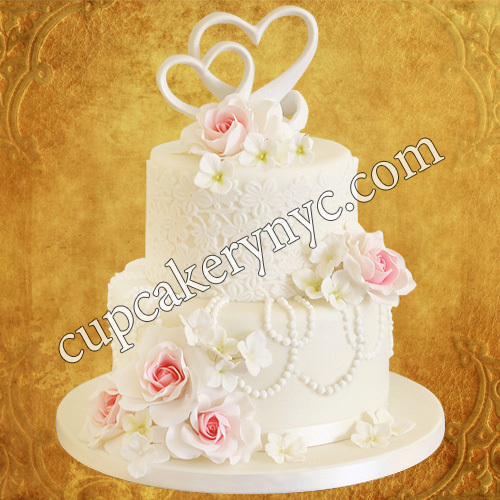 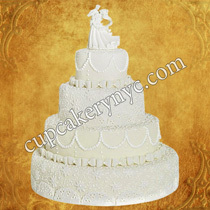 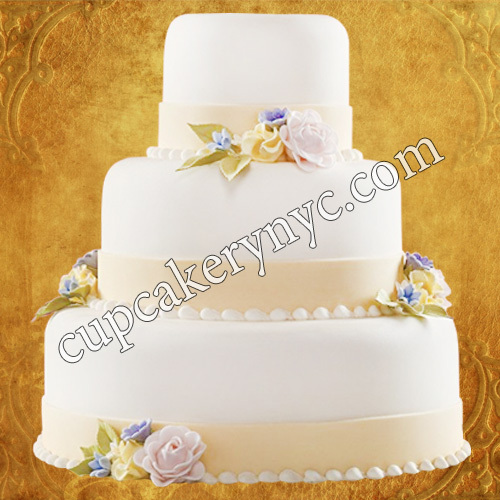 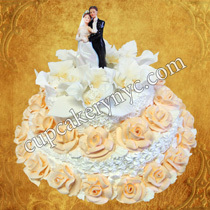 A lot of brides today opt for white wedding gowns and white traditional wedding cakes. 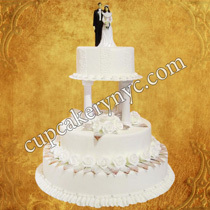 Our cake designers create 1 tier, 2 tier and 3 tier wedding cakes with different decorations. 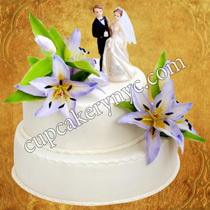 They vary from sugar flowers to realistic figurines of newlyweds. 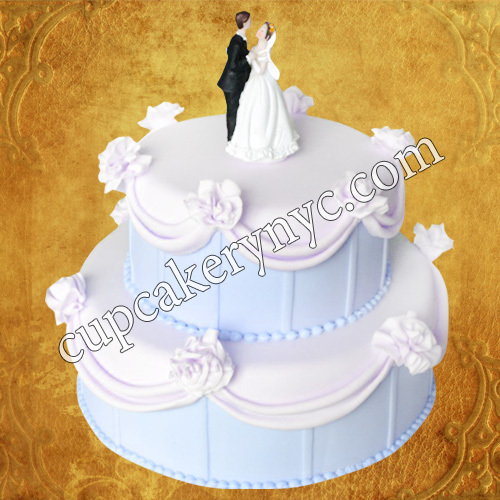 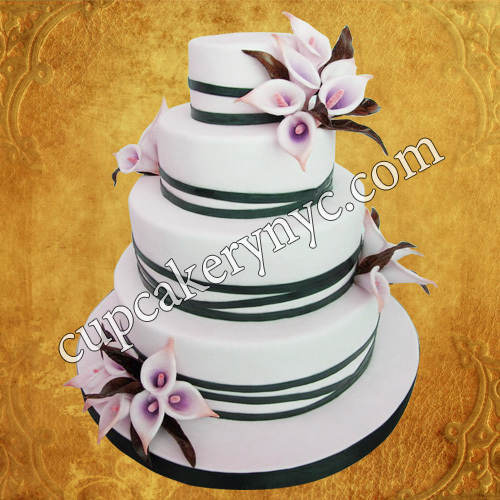 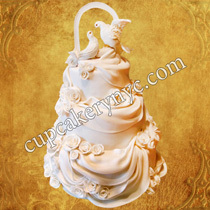 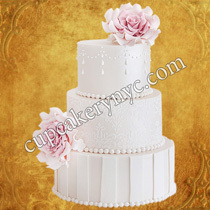 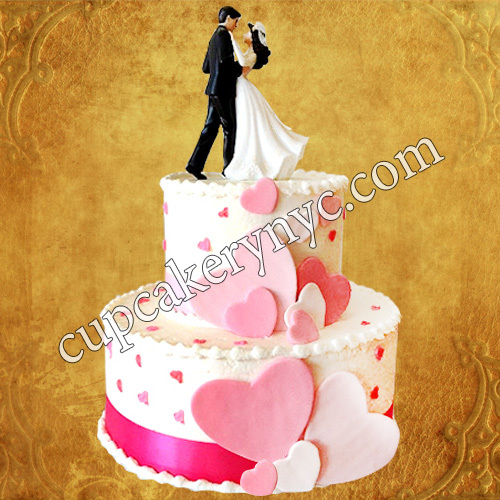 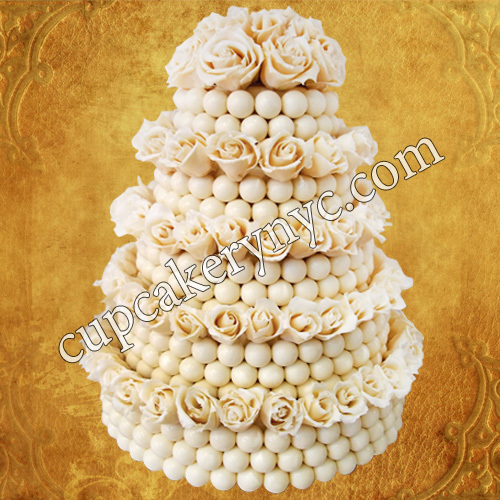 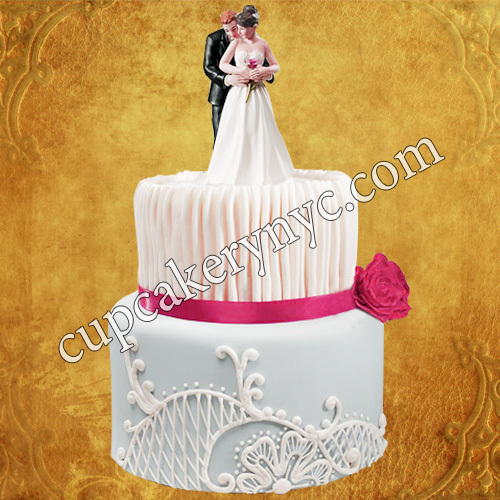 Of course, traditional delights should have traditional wedding cake flavors with vanilla, chocolate, or red velvet. 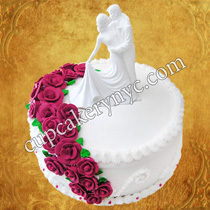 It depends on your own preferences and taste. Don’t forget about the season either. Summer weddings suggest something light and fruity. 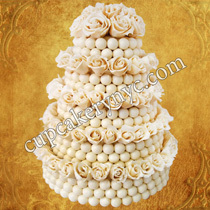 For a winter wedding reception it’s better to choose something more nutrient rich. 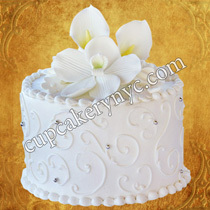 If you can’t find the right classic flavor for your white wedding cakes, ask our pastry chefs from CupCakery. 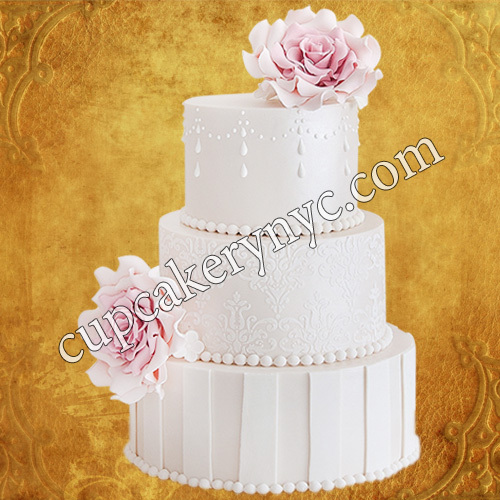 If you think that a white wedding treat is not enough, consider opting for decoration elements that will add a stylish and subtly modern touch to your overall classic cake. Brooches, rhinestones, rosettes, monograms, anything you can think of… Need a bit of romance? 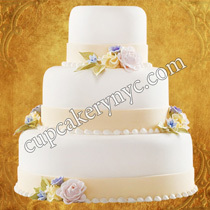 Ask your decorator to adorn your cake with small greenish or yellowish florals. 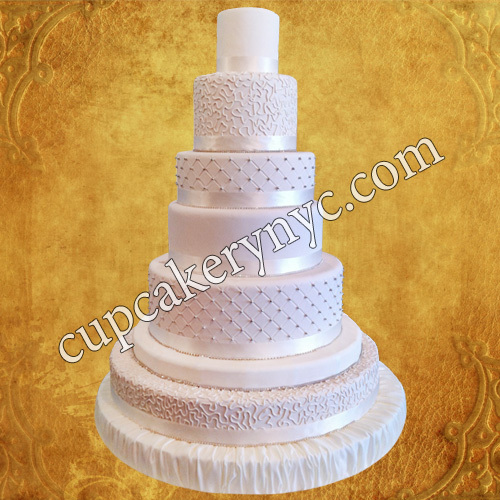 If you’re looking for wedding cakes in New York that are anything but traditional, you will find hundreds of options at our cake studio. 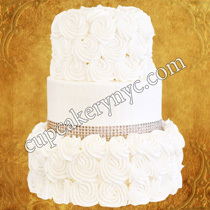 Small white or ivory traditional buttercream wedding cakes go together with cupcake towers. For couples who adore pure classic style the best option is a cake with many tiers decorated with fondant swirls, beads, and figurines of angels. 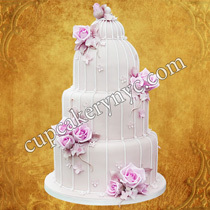 Different types of decorating will make your classic cake look amazing. Just try to combine stripes of fondant with an ornament of royal icing. 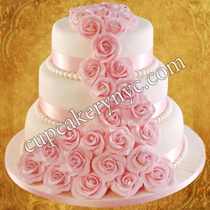 Edible sugar or fresh flowers also look lovely on a classic cake. Although almost all people think of the traditional cake as the white one, it can also be ivory, light yellow or champagne colored. Textures, sizes, decorations and flavors make wedding cakes unique. 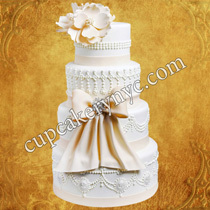 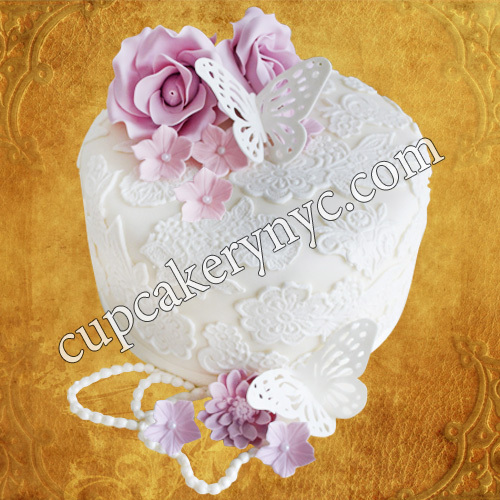 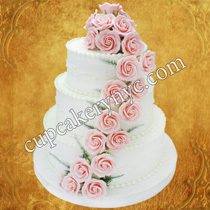 Nowadays wedding cakes with bows and ribbons are considered romantic and sweet. 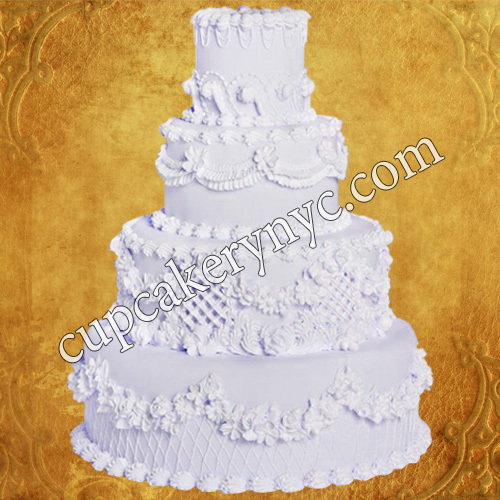 Our cake experts decorate stylish classic cakes with lace or flowers which have something in common with the gown of the bride or the wedding bouquet. Classic round cakes look nice but they will look much better if you add something bright to the decoration, for instance, a print of large petals with small yellow details. 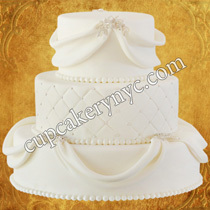 Also classic wedding cakes can be hexagon-shaped. 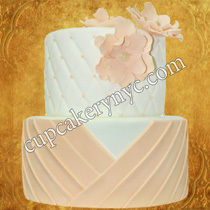 Our talented dessert masters will add flowers, dots and other subtle modern decoration elements to the cake. Classic wedding cakes and confections made by our New York-based specialty cake studio not only look amazing but also taste very good!